Travel news Archives | Stratos Jet Charters, Inc.
Should You Hire a Private Jet to Travel Supersonic Speeds? Supersonic passenger flight is making a comeback, so what can we expect? For decades, supersonic passenger flight was the pinnacle of air travel. The graceful delta-winged Concorde filled this role for almost 30 years. But fuel prices climbed, and supersonic technology plateaued. With dwindling profits, the last Concorde flight was on October 24, 2003. Since then, the only way to fly faster than Mach speed was in a military fighter jet. However, several corporate initiatives and technological breakthroughs have revived the dream of high-speed passenger travel. But before you hire a private jet to break the sound barrier, let’s have a quick look at the challenges and perks of the new supersonic air travel. Technical challenges – Supersonic flight has a number of obstacles to overcome. The venerable Concorde was plagued with technical issues such as overheating, and substantial carbon emissions. Also, it could only travel at supersonic speeds across oceans, to avoid creating window-shattering sonic booms over populated areas. These hurdles will need to be addressed by the next generation of aircraft. Fuel costs – This is the biggest variable in the supersonic industry. Engineers can minimize carbon emissions and sonic booms, but not fuel costs. The feasibility of supersonic passenger flight boils down to economics. Is the potential time-saving worth the price if passengers have to absorb a rise in fuel costs? Speed – This is the ultimate goal of advanced air travel. Aircraft developer Spike Aerospace sums it up with their corporate motto, “Fly supersonic. Do more”. Spike claims its S-512 jet will fly from New York to London in 3.3 hours, compared to 6.2 hours in current jets. Likewise, Boom is promoting that the Overture jet will fly from Tokyo to San Francisco in 5.5 hours, instead of 11. Their website proclaims, “Do business across the world and be home before jet lag sets in.” In a hectic corporate world, faster travel means more opportunities. 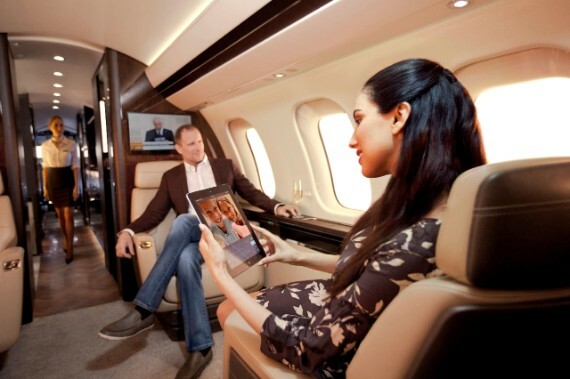 Luxury – When you buy or hire a private jet, you expect certain luxury amenities. The Spike S-512 is designed with the luxury traveler in mind. The aircraft promises to fly 18 passengers at Mach 1.6 without creating loud sonic booms. In addition to elegant leather seating and high-speed internet, the S-512 has replaced the windows with high-definition screens on both sides. You can view the aircraft surroundings, just like through a traditional window, and then switch the view to a movie or work project. Likewise, Boom’s Overture jet is billing itself as an “all-business-class” jet, with an emphasis on privacy, comfort, and productivity. Overture is designed to fly 55-75 passengers to international destinations at Mach 2.2 in perfect elegance. When can you hire a private jet to travel supersonic speeds? Once these aviation marvels are tested and available, supersonic jet charter won’t be far away. In the meantime, Stratos Jet Charters will get you where you need to go with the most efficient and most comfortable aircraft in our charter network. To arrange your next luxury charter flight anywhere in the world, call Stratos Jets—888-593-9066. How do you get the best value for private jet travel without buying a jet? With Stratos on-demand private jet charters and a Stratos Private Jet Card membership, you get all the travel options without the cost of private jet ownership. But having more options also means making more choices. Which is the better travel value: a private jet charter or a private jet card? Let’s look at the advantages of both, in terms of jet availability, flight costs, and convenience. When you book a private jet flight, you expect that your travels will go exactly as planned. This is crucial with business travel, where important meetings and potential deals depend on your itinerary. It is one area where a Stratos Jet Card can provide a measurable advantage to travelers. 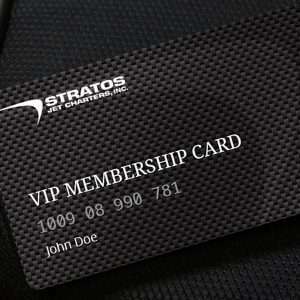 With a Stratos Private Jet Card, you can be assured your jet will be available. Give us 10 hours’ notice and we’ll have your private jet ready for you at the airport of your choice. Even if your original aircraft develops a maintenance issue prior to your flight, Stratos can provide a back-up aircraft. Since most of your travel costs are already pre-paid, we can make any changes seamlessly. This is the main advantage of using a jet card membership over an on-demand jet charter. With a jet card, you know exactly what you are going pay, up front. It’s ideal for corporate travel, where each travel expense needs to be budgeted and justified. If you look at our pricing page, you will see that some on-demand charter flights cost less than jet card flights, especially on standard routes with specific aircraft types. If you are booking a one-time flight to a popular destination, an on-demand charter is a viable solution. Yet, you may still incur some additional costs. The flexibility of a jet card allows you to fly to ANY appropriate airport at a pre-paid fixed rate, even if it is a non-standard routing. It is something to consider if you plan to fly to non-standard destinations such as recreation resorts, factory sites, or family properties. Stratos Jet Charters prides itself on providing complete comfort and convenience in every aspect of your travels. All our clients get our best service, whether they have booked an on-demand charter or are using a jet card. Stratos offers the convenience of a dedicated Trip Support team that can handle every travel detail, from arranging meeting rooms and hotel reservations to providing in-flight amenities and ground transportation. If you need to book a corporate trip or a vacation getaway, we can get you there. When you need a private jet rental company that can arrange luxury charter flights anywhere in the world, call Stratos Jets—888-593-9066. Whenever you step aboard a private jet charter, you can always count on a warm greeting from the pilot (two if you’re flying with Stratos Jet Charters). They’ll even help you with your baggage and get you comfortably settled onboard before whisking you away to your chosen destination. But our industry is facing a very real problem these days: there aren’t enough pilots to go around at the moment. 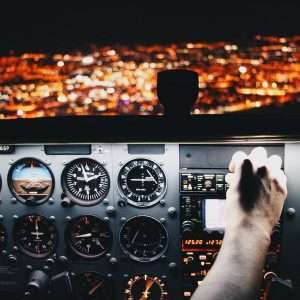 The increased demand for air travel across all sectors, coupled with the lack of people taking up piloting as a career, are the two primary drivers of this shortage. While many airlines have since recalled pilots that were furloughed from a decade ago, many have left the industry to pursue different career paths. In some cases, regional airlines are replacing smaller, lower-occupancy aircraft in their fleets with ones with larger seating capacities in order to maximize the number of passengers they can transport with their available pilots. Major commercial airlines in the United States are hiring at a rate not seen since before 9/11. They are competing with one another to hire—and more importantly, retain—whatever talent is available. It’s difficult to blame them for this tactic. By enticing business aviation pilots to work for them, commercial airlines know they’re getting a highly trained employee. First Officers must also meet stringent training requirements. To learn more about pilot training, read our post: Business Jet Pilots: Why Time in Type Matters for Air Charter Safety. Now, the trend is reversing, as the airlines, recognizing the need for more pilots, are offering better pay and incentives. The National Business Aviation Association (NBAA), drawing on results from its annual Compensation Survey, published an article comparing the salaries of commercial airline and business aircraft pilots. Depending on the size and type of aircraft, a senior captain flying a business jet in 2017 earned between $106, 536 and $176,288. According to the Allied Pilots Association, an American Airlines pilot earned between $239,363 and 298,972, depending in the size of aircraft. As you would expect, having to pay higher salaries to hire and retain pilots will affect any company’s bottom line. This will only serve to increase the cost of air travel, as the extra expense will be transferred to the consumer. However, it’s worth noting that pilot salaries represent only fraction of a charter operator’s overall expenses, the largest of which is fuel. With the higher rates of pay and benefits packages, you’d think that every pilot would want to work for an airline. Obviously, this isn’t the case. There are a few factors that often go overlooked when comparing piloting for an airline versus business aviation. One of the most important is the aircraft themselves. In general, most private jets, especially modern ones, are easier to fly due to their advanced avionics systems. This, in turn, makes for a less stressful work environment. Furthermore, smaller business jets are able to access smaller airports, giving pilots an opportunity to visit different destinations. And because the customer chooses the route, you’re always flying along new flight paths. So, if you like a little variety in your life, piloting a private jet charter might be the way to go. Another point worth considering is that many charter flights occur during daylight hours and are relatively short in duration. Depending on the size and range of the aircraft you’re flying, a pilot will often be able to return home at the end of the day. A good example of this would be if a pilot were to fly a group of business executives to an out-of-town meeting, and then return them home the same day. According to the Boeing Pilot Outlook 2017, North America will require an additional 117,000 new pilots over the next 20 years to keep up with expected demand. That figure doesn’t include the private jet charter industry. To put that into perspective, according to 2017 U.S. Civil Airmen Statistics provided by the Federal Aviation Administration (FAA), there are currently 159,825 ATP-certified pilots in the United States. That it 57.7 per cent of what the Boeing report indicates the airline industry will require by 2036. As airline carriers increase their services and expand their fleets to accommodate the growing demand of consumers, pilots will become more sought after than ever before. This trend will be mirrored in the private sector as the number of operators and brokers increases. If you’re looking for a career that provides a good income and job stability, piloting is certainly worth considering. This pilot shortage isn’t just limited to the US. 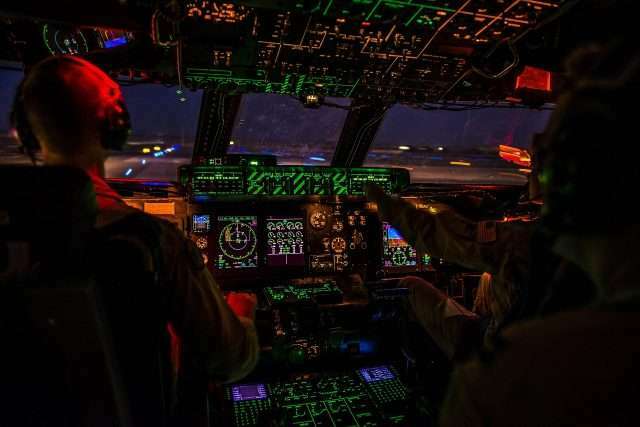 The lack of qualified commercial pilots is a global issue, and the Boeing report estimates that an additional 637,000 pilots will be required worldwide to meet the growing demand. The Asia-Pacific region will experienced the highest demand, requiring an estimated 253,000 pilots over the next two decades. In order to claim their fair share of new pilots, private aviation needs to be more proactive in reaching out. This includes not only those who have already chosen aviation as a career, but also individuals who are entering the workforce, but have yet to decide on a career path. Fly with confidence when you book a private jet charter with Stratos Jets. We conduct third-party safety audits on every charter flight we arrange, and we only work with operators with pilots that are trained to the highest standards. For more information, or to begin planning your next trip, call us toll-free at888-593-9066, or start a quote online. From emergency flights and soaring demand to crashes, broker criminals & new jets, 2017 was an eventful year in the private jet services industry. There were horrifying floods and hurricanes, a man operating and illegal private jet services brokerage, and a baseball hero who crashed the plane he was flying and died. There was incredible demand, perhaps more than ever, for private jet flights. 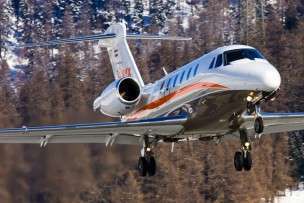 New planes and new technology making it easier to find the best and best-priced jet charter flights. And in the middle of it all, in 2017, was us—a charter broker company that had just celebrated a 10th anniversary and a renewed commitment to focusing on safety above all else, especially as new kids with less expertise entered the field. With just a few days left in 2017, Stratos Jet Charters reflects on the private aviation events that stood out this year. It was nothing short of chaotic. As turbulent winds peeled across the Caribbean Sea, tearing apart communities in Puerto Rico and Antigua before heading toward Florida, families called frantically asking for help to get their loved ones out of the path of Maria and Irma. 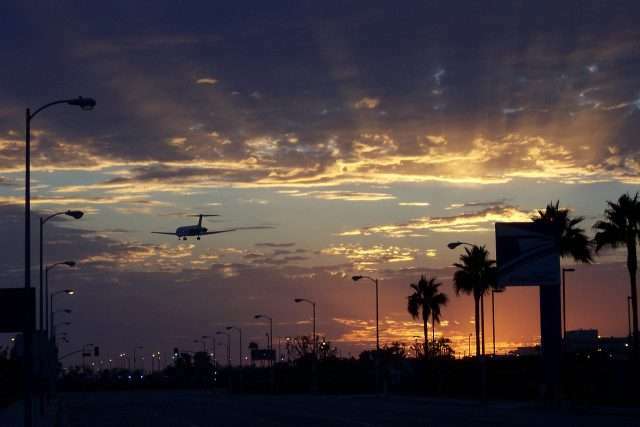 Airports quickly began to run out of both planes and fuel. We were as determined as ever. We pulled in aircraft from distant states—Kansas and Kentucky, to name a few. We called on operators we’ve known for years and scheduled flights at local airports just before they closed. We found fuel. If we were ‘scrambling,’ our clients didn’t know it. In the end, it was a trying but rewarding time, and we realized this was an incredible opportunity to make use of our networks and our knowledge to coordinate emergency flights and get people to safety. We decided at the last minute to escape from Florida as hurricane Irma was bearing down on us, and Stratos came through for us. Despite our first choice airport running out of fuel, they managed to get some at another and we got out with about 1 hour to spare. It was a hectic time, with everyone else scrambling to escape, but Stratos made the whole experience simple and efficient for us. We will definitely fly with them another time, preferable when we’re not all stressed about a hurricane aimed right at us! — Hobie L.
Post-storm, it was unfortunate to later hear about the experiences of other people who used less-experienced private jet services for emergency evacuations, and did not have a good experience. We hope Florida and the Caribbean never sees another Irma or Maria, but if we do, we look forward to doing what we do best to support emergency evacuations. 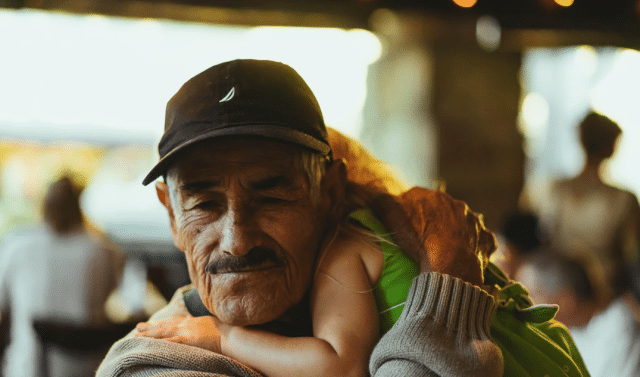 Learn more about how Stratos worked to evacuate families during Irma and Maria. It was one of the surprises of 2017 for the business aviation and private jet services industry, to be sure. 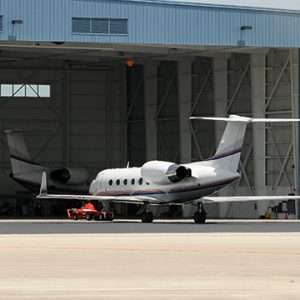 Private jet rental bookings were on the rise. And not just that, but the bigger the better. In fact, we began to see operators become selective about the trips the accepted because there was so much demand. 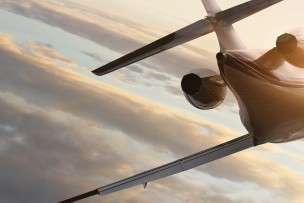 The Bombardier Global 7000 has just made the skies more comfortable as an addition to the line up of aircraft used in private jet services. Learn more and view them for yourself in our post 5 New Private Jets Taking the Skies By Storm. Did you hear about the Fort Lauderdale man accused of operating an illegal charter air-carrier service and falsifying certification records? According to an article in the Sun Sentinel, in December Robert Charles Brady was charged with 56 counts of wire fraud, filing false records and operating an aircraft without an airman’s certificate” as owner of Beach Aviation. At Stratos, it was a reminder of why we always confirm the insurance and Part 135 Certificate of our vendors, and it’s why we’re always running operator reports and checks for every single flight. Because we’re obsessed with safety, we also have our own in-house vendor approval program. 2017 was also the year a cherished baseball player—Roy Halladay—died when the plane he was piloting crashed in the Gulf of Mexico. We know it had people—many who don’t use private jet services—wondering, How safe are private jets anyway? Because we uphold the industry’s highest safety standards, we took this opportunity to discuss the steps we as brokers take to increase your margin of safety and help ensure you arrive safely at your destination. Auditing vendors and crews, as in the above case, is just one of four of the most important steps. In 2017, more and more organizations saw the value in stepping from private jet rental bookings to outright ownership for their own use and for income-generating activity. But then organizations take on the task of managing their aircraft and its flights. Stratos saw an opportunity, and began to guide clients through the process of placing it in service, identifying reputable air carriers to manage the plane, negotiating contacts for appropriate management responsibilities and making recommendations that will help mitigate risks and maximize revenue. Visit our Stratos Jet Management Services page to learn more. 6. We rolled out a new website! It’s functional. It’s intuitive. And it’s got more of what our clients need, including a handy pricing tool. What this does is give you a reliable and instant estimate of average market value for private jet charter services to your destination. PLUS, we can then analyze the market and find aircraft with similar positioning needs and bring the price down further. We’re excited to give our clients the chance to use our pricing tool and experience the fun of getting a lower price tag. In 2018, will you look for a private jet services broker that offers the industry’s highest standards in safety and service? Turn to the charter brokers individuals and organizations have trusted for more than a decade, Stratos Jet Charters. Call 888-593-9066!